The Consumer Education Project (CEP) of Milk SA teamed up with the Department of Basic Education and the Milk Producers Organisation (MPO) for the month of September. 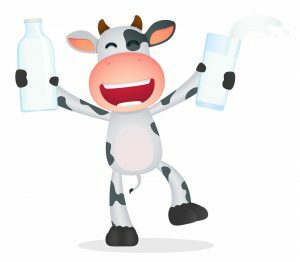 On World School Milk Day, teachers at participating schools will get copies of a teacher’s guide to help prepare for a lesson on dairy and healthy eating, and activity sheets to share with their learners. The MPO supports the educational campaign by providing milk, donated by milk processors, for every learner from the participating schools on the day. As part of CEP’s school programme, learning material is available for learners in the Foundation Phase (Grade R to Grade 3) and Grade 5 and Grade 6 of the Intermediate Phase. For the Foundation Phase the theme is ‘From farm to fridge’ and the teacher’s guide covers topics such as why dairy is healthy and should be part of the daily diet, dairy products and processing, dairy farming, and dairy cows and goats. The material for the Intermediate Phase is titled ‘Guidelines for healthy eating’ and explains the South African food-based dietary guidelines (FBDGs). Readers will learn what the FBDGs are, why each one is important and how to use the FBDGs in their daily diets to ensure a healthy lifestyle. 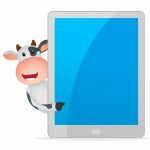 In support of this campaign, the Consumer Education Project of Milk SA also developed, specifically for World School Milk Day, a quick guide about different types of milk and how to use it. Six brief messages are included and learners can take a copy of the information sheet to share with people at home.